Former Tory MP Ann Widdecombe - Ashers Bakery were right to refuse gay marriage cake. 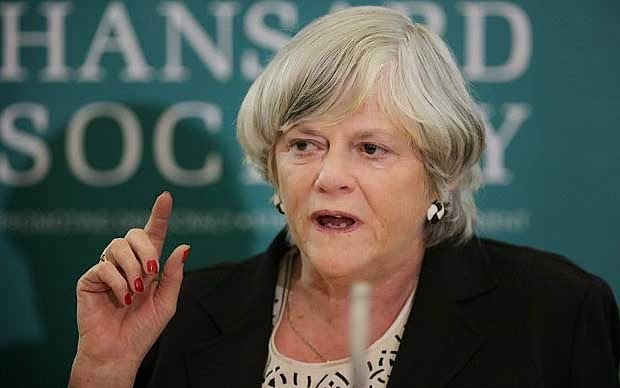 Former conservative minister Ann Widdecombe has came out in defense of the rights of businesses to operate according to their beliefs. Her comments come in light of a possible legal challenge to Ashers bakery based in Northern Ireland. The company refused to bake a cake with a message in support of gay marriage. Mr. Daniel McArthur, general manger of Ashers said they are happy to bake cakes for anyone, but could not fulfil that particular order as it clashed with the ethos of the business. Ms. Widdecombe expressed her views through the Daily Express, “Surely it is an elementary feature of true democracy that nobody should be obliged by law to affirm that which he or she does not believe”, “If the baker had refused merely to bake a cake because the customer was gay then that would indeed have been both unpleasant and illegal but the refusal was specific to the message requested for the cake." Ms. Widdecombe highlighted the repeated reassurances given to Parliament by stating “What price your assurances now, Mr Cameron?” she posed. Northern Ireland Christian bakers face possible legal action. 'Ashers' baking company a well known, family run business based in Northern Ireland is facing possible legal action for refusing to fulfil a customer's order for a cake which advertised support for gay marriage. In May, volunteer LGBT activist Gareth Lee asked for a cake to be decorated with the slogan “Support Gay Marriage”. 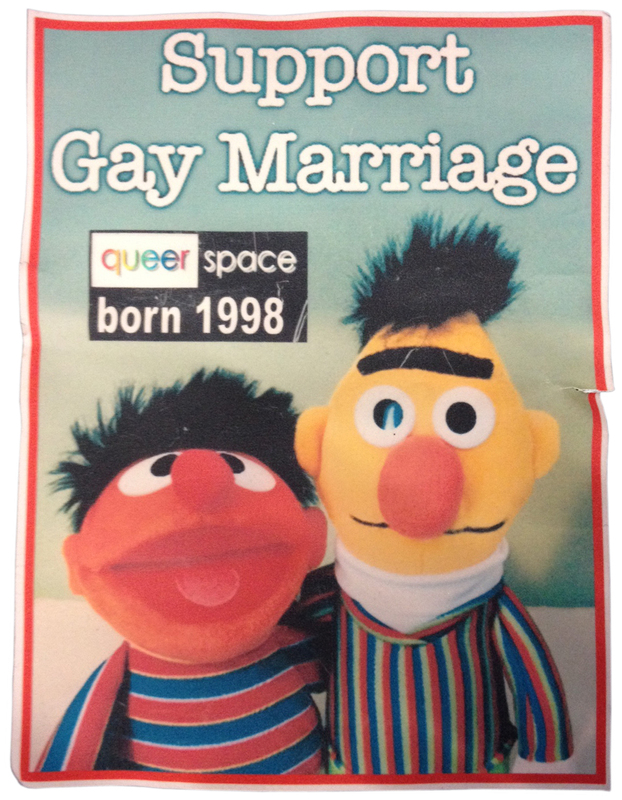 He also wanted a logo of his campaign group QueerSpace and a photo of Sesame Street’s Bert and Ernie in an embrace to be printed on the cake. When the order came through to the head office, the manager and directors decided to decline the request on conscience grounds, and offered Mr Lee a full refund. Despite the fact that the Northern Ireland Assembly recently voted against redefining marriage for the third time in two years, the taxpayer-funded Equality Commission for Northern Ireland sent a letter claiming that the bakery had acted unlawfully by refusing to decorate the cake with the slogan. The Commission said the bakery had breached equality laws which outlaw discrimination in the provision of goods and services. Online photographs of a QueerSpace event in May show that the group managed to get a cake decorated in the way they wanted from a different bakery. “Although we have found this experience certainly unsettling and disruptive to our day-to-day business, we are certainly convinced that we have made the right decision, and we continue to take the stance that we do take”, he added. The company was named after a verse from the Bible which says “Bread from Asher shall be rich and he shall yield royal dainties” (Genesis 49:20, NKJV). 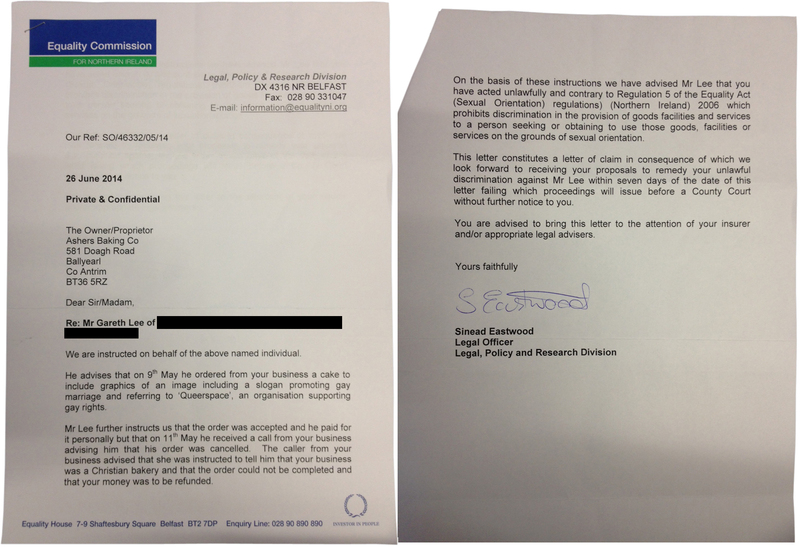 The Christian Institute’s Legal Defence Fund is supporting Ashers Baking Company. “The Government repeatedly failed to listen to members of the public, lawyers, constitutional experts even its own MPs when they called for safeguards to protect those who back traditional marriage, whether at work or in business. “All the McArthurs want is to run their bakery according to their Christian beliefs. There won’t be many situations where they need to turn down an order but this is obviously one of them. No one should be forced to use their creative skills to promote a cause which goes against their consciences. 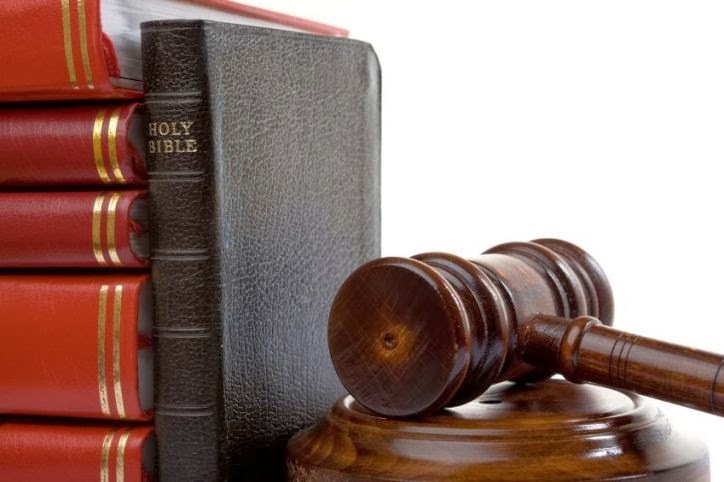 Imbalanced equality laws are making it increasingly hard for people, especially Christians. “Imagine the uproar if the Equality Commission said that an environmentally-conscious baker had to produce a cake saying “Support fracking”? Or if they threatened a feminist bakery for refusing to print a “Sharia for UK” cake? “Millions of ordinary people who do not agree with gay marriage, face intimidation and the real threat of legal action from the forces of political correctness if they, out of conscience, decline to provide goods or services to campaign groups they do not agree with or support. The American Supreme Court recently ruled that family-run businesses in the US can operate according to their principles. The judgment in the case of Hobby Lobby, a Christian-owned chain of arts and crafts stores, found that people do not lose their religious freedom just because they run a business.